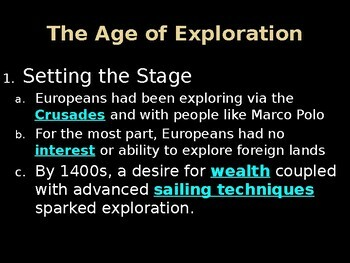 LEARNING TARGET: I can analyze the political, economic and social motives for European exploration and colonization during the Age of Exploration. 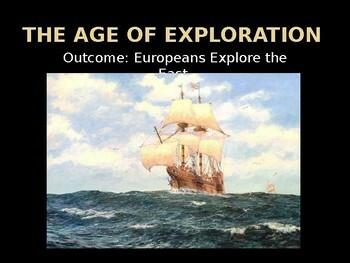 **Purchase the Day 053_European Motives for Exploration - Age of Exploration -- Lesson Handout that goes along with this PowerPoint for a discounted rate. 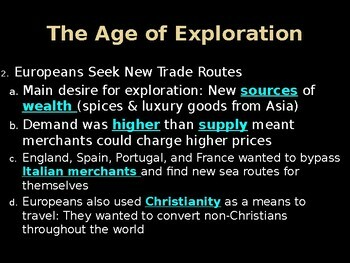 ***One stop shopping for Common Core aligned NYS Regents Global History and Geography curriculum. All handouts are numbered Day 001, Day 002… Check out the other lesson handouts available through my TPT store and purchase the entire curriculum. • If you are happy with this product, look for the “FOLLOW ME” GREEN STAR next to my store’s logo and click it to become a follower. 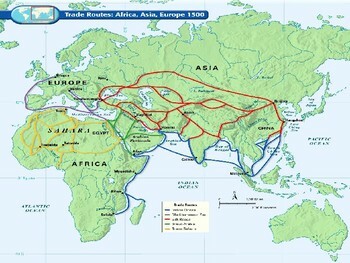 You’ll be the first to know of future sales and new product listings. • Click on the Pin it button and pin it to one of your boards!